After Poggioreale, the Orient Express is fully into Italy, and James Bond is feeling a bit better about things. We’ve made it, thought Bond. I really think we’ve made it. He thrust the memory of the last three days away from him. Tatiana saw the tense lines in his face relax. She reached over and took his hand. He moved and sat close to her. They looked out at the gay villas on the Corniche* and at the sailing boats and the people water-skiing. 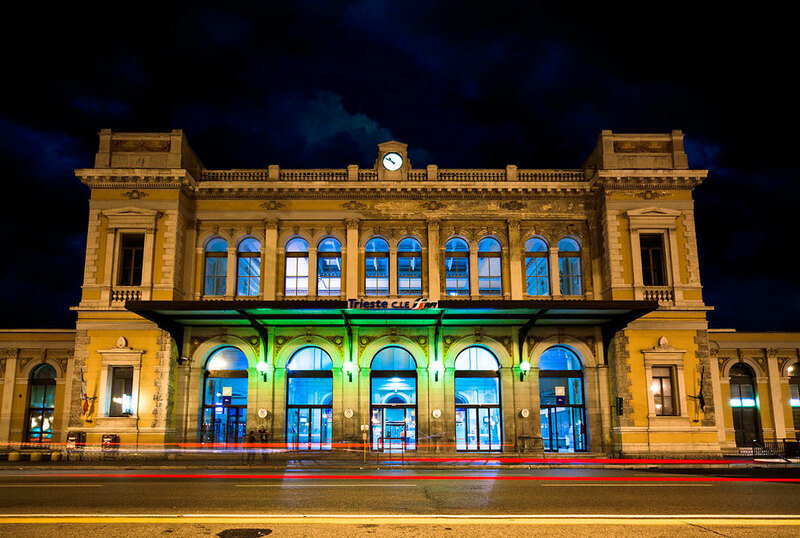 The train clanged across some points and slid quietly into the gleaming station of Trieste. took place. In the post-WWII years, Trieste was something of a political hotbed, with both Italy and Yugoslavia claiming territorial rights. from 1947-1954 the city was under UN protection, in two zones, one for each nation. In Bond’s view, things may be looking up, but that will quickly change with the arrival of an unannounced agent. *A “Corniche” is a cliff-side road, many times overlooking a body of water.